I'll be the first one to tell you that I'm not really what you would call a "beatmaker". However, I leave that up to my listeners to decide. I recognize that there is a considerable difference between "making beats" and "making music". I'm not trying to diss anyone out there making beats, but it's just a fact that beat making and music making are different things, often requiring different skills and talents. 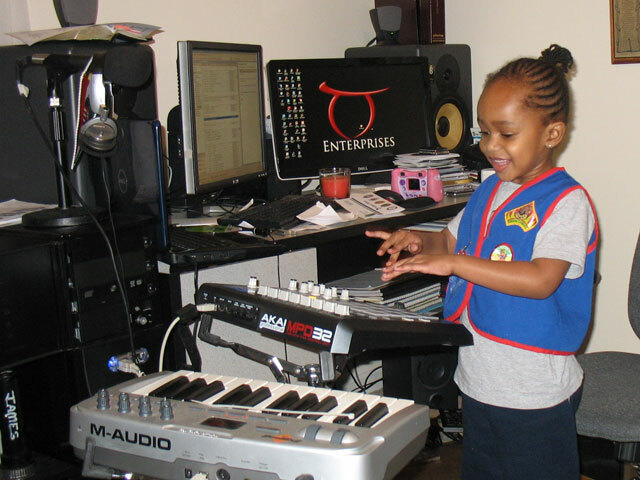 Making high-quality beats requires a high level of skill and creativity, just like making music does, but one difference stands out...Beats are often created to be a component of a much larger piece of music. Music is most often created to stand alone. My original intent in musical composition is to create a complete musical piece with a hard-hitting beat, bass (often rolling bass), piano melody, string harmonies with rich violins and cellos, horn section (screaming trumpets), and some other stuff to make the track "rich". What I like to finish with is what I call "Orchestrated Hip-Hop" - a huge orchestral movement layered on top of a bangin' hip-hop beat. These "Cinematic Sounds" are what I started out making and I have developed my own signature sound. Thing is, I don't expect my sound to be accepted right away in the hip-hop genre because all of the additional musical components I incorporate. I set out to make music at the start of my process. Making beats just happens to be a by-product for me thus far. Again, this is no diss to beat makers out there and I don't want to come across as saying that "beat making" isn't music making. The fact is that there is a difference where making beats in the hip-hop sense is a way to create a "background" for a vocal component of the same track. When I say "making music", I'm saying that the original intent is for the instrumental to be considered complete without the need for a vocal component. In other words, the instrumental was made to stand alone and be played as an instrumental track. All that said, I can make some bangin' beats that'll make heads knod and feet move. However, I have found that making high quality hip-hop beats is a bit more difficult for me mainly because of my personal creative process. Making a beat is relatively simple. But a simple beat-making process may result in a simple sound. I start out with melodies and harmonies in mind when I start building music. This alone often nudges my finished tracks aoustide of the hip-hop genre. I have to reverse my process and start with the beat first and end with the beat in order to make good hip-hop beats. I admire beat makers, known and unknown, who creatively construct sounds into some of the dopest beats ever heard. Pete Rock, Dre, Timbaland, Havoc and Kanye are just some of my favorites. These cats can take sounds from seemingly anywhere and create beats that leave people analyzing the beat, no matter what vocals are laid over it.